Inspire In Education (IIE) is our response to the need to build up a generation of confident, capable and engaged rangatahi Māori in education throughout Aotearoa, New Zealand. IIE, works alongside schools and training institutions to provide a wrap-around service for young people. Our role is to complement the student support and pastoral care provisions within schools, as well as helping young people address barriers to achieving their goals that are outside the scope of schools by captivating, inspiring and building skills with who are showing early signs of disconnecting with education. The students are immersed in a range of design experiences and challenges that allow them to expand their minds about education. We teach and facilitate life skills, health and physical, outdoor education and Connect tamariki to their whakapapa | Connect tamariki to place | Connect them to their dreams and aspirations. As a small, flexible team we also have the ability to tailor individual student curricula that reflect the personal interests of students, for example, music, art, or cooking. They're involved in tangible projects that have real impact for the student, their school, whānau and their community. Inspire In Education Students are students transitioning from Primary to Intermediate then onto High School. 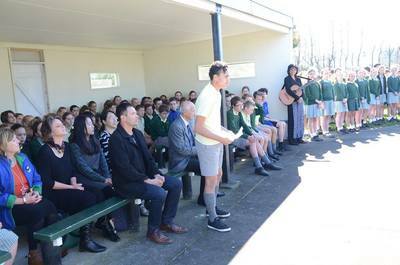 We generally work with students in Year 6, Year 7, Year 8 and Year 9 as Māori students, not all, but some come with fears and anxieties. Those fears and anxieties weaken the mauri and reduce a student’s capacity to engage and learn. 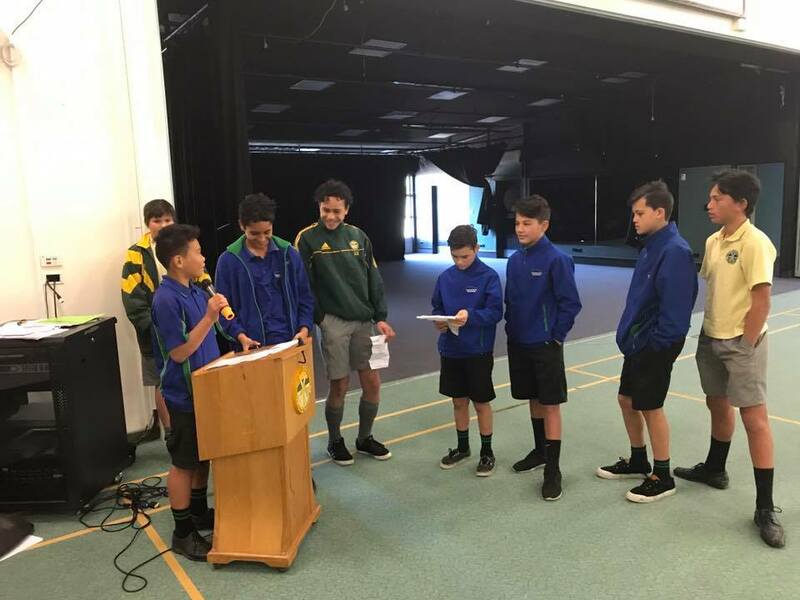 Inspire In Education Leaders is our youth internship programme that provides opportunity for students to develop their skills, experiences and connections through contributing to the IIE kaupapa. Inspire In Education Mentors connect business and sports professionals with the students, local people giving back to their community. Interested in working with our students – mentoring, collaborating and learning? Inspire In Education Professional Development provides professional development workshops in Schools around the country. We provide training for school board of trustees, school management, teachers and trainee teachers. We also facilitate workshops for large corporate groups, small and medium sized businesses and professional sports teams. Objective: Why do we see the mauri as so central in a teaching and learning model? principle, source of emotions - the essential quality and vitality of a being or entity. ​Brief: Fears and anxieties can weaken the mauri and reduce a student’s capacity to engage and learn. Will I cope? | Will I be good enough? | Will it meet my needs? 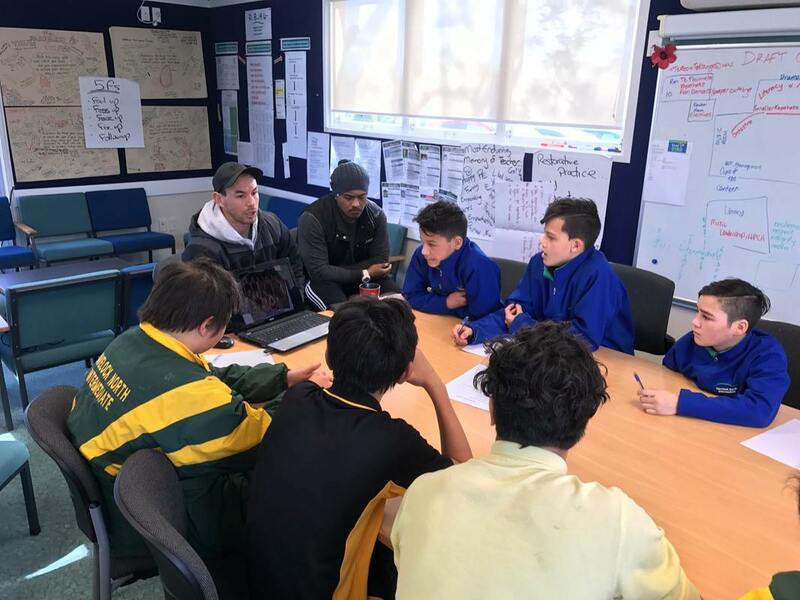 Reducing Fears and Anxiety, Inspire In Education mentors following student and whanau through the transition period from Primary to Intermediate to High School. Others are Mihimihi | Introductions | Name games | Icebreakers | Group activities | Singing waiata | Dedicated space | Eating together. Waka Activity using the whakatauki He waka eke noa (we are all in the waka together) helps the student understand who they are and what they can contribute to a class, If we all paddle together we will reach our destination faster. If one of us slacks off what will that mean for our class? However, if one of us gets tired how can we support him or her? From a current teacher….“In a classroom situation, having been a teacher for many years, I have always thought about working with young children—how easy it is to hurt the mauri, as a teacher, as someone in power. A look, a word, an action can all do damage and it can happen in a single moment. Easy to damage, hard to recover"
Why: The importance of taking care of student’s physical, mental, spiritual and social needs. Tāku Korowai: students make a korowai using card, feathers etc. Teaching them about what korowai were used for and what they were made of. For example, kiwi feathers. Going into the environmental side of this and discussing the kiwi and their revival in Aotearoa. shared experience. Extends to non-kinship relations where there is mutual need, support and reciprocity. ​meet the teacher meetings Including a ‘meet the family’ session during orientation, Including whanau in official welcoming ceremonies. adapting our approach to accommodate the student rather than expecting the student to accommodate us. Proactively seeking to counteract students negative self-image and consistently reinforcing students achievements, abilities, talents, courage and resilience. High expectations – expect that your students are capable, expect that they are here to succeed and we provide opportunities for each student to be successful. Giving options: Write an essay… or a waiata, song or paint a picture. Recognising, allowing for and integrating the expertise and talents that each student brings through our focused tutorial support, peer support. The popularity of mentoring may be accounted for by successful mentoring outcomes in formal mentoring programmed for Māori (see Rua & Nikora, 1999; Gibson-van Marrewijk, 2005; Ross, 2008; Institutional Profiles, pp 22-42). To promote tuakana-teina as a sustainable model of learning and development within schools. The popularity of mentoring may be accounted for by successful mentoring outcomes in formal mentoring programmed for Māori. Objective: To learn about ways of thinking and doing that is important to Māori. Potentially as a way of mediation and a dispute resolution process. What: Short session with Kaumatua Potentially visiting a marae and learning about the tukutuku panels and the significance of them. 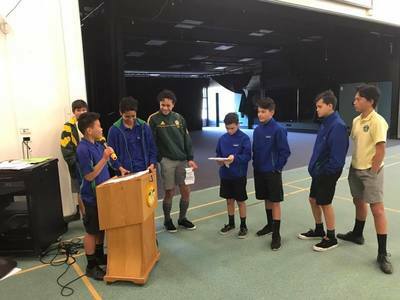 Engaging to tell their story and how they use wānanga and Inspire In Education mentor to infuse how wānanga can be used in a contemporary context. How is it useful to the kids? I.e. learning about Tamatea Ariki Nui and how his narrative is a metaphor for thinking about the challenges and opportunities today. What is: Kōrero with Kaumatua affirming Māori learners as Māori, providing contexts for learning where the language, identity, and culture of Māori learners and their whānau is affirmed. Evidence and Brief: Place-based education: affirming Māori learners as Māori, providing contexts for learning where the language, identity, and culture of Māori learners and their whānau is affirmed. Facilitates participation of whānau and people with the knowledge of local context, tikanga, history, and language to support classroom teaching and learning programmes. Harnesses the rich cultural capital which Māori learners bring to the classroom by providing culturally responsive and engaging contexts for learning. Students’ cultural norms, how they live and succeed as who they are, how they develop a strong cultural identity, their wairua (spirituality) and whanaungatanga (connectedness) are all high status learning, valid in their own right. Helping early childhood teachers give meaningful effect to the tangata whenuatanga competency of Tātaiako and the principles of Te Whariki Richard Manning. Why: To teach how young people can get involved in the Kaitiakitanga of their own marae and ways to improve stream water quality​. Evidence and Brief: By conserving and rejuvenating natural habitats, we can improve the quality of water in our streams. continued control or removal of invasive species or pests. ​The following template is designed to implement the key kaupapa, competencies, and objectives. 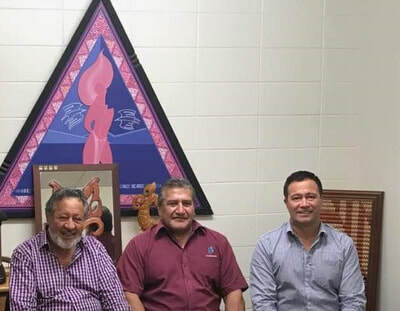 Māori conceptual frameworks Kaupapa Māori theory and the Māori Potential approach fundamentally, kaupapa Māori is the philosophy and practice of being Māori, and generally refers to the provision of services that are culturally appropriate and relevant, and by and for Māori. A common theme underlying kaupapa Māori theory and practice is self-determination in respect of Māori asserting their right to achieve their aspirations for development and advancement; anchored in Māori values, knowledge, and cultural practices. The Māori Potential Approach supports Kaupapa Māori theory. This strength-based approach to Māori public policy affirms Māori as key “catalysts for achieving exceptional life quality for themselves, their whānau, and their communities”, in ways that reflect Māori people and culture as assets, and acknowledging Māori as indigenous people with accompanying rights and responsibilities (Te Puni Kōkiri 2009). Studies on the role of cultural identity in Māori student’s educational achievement suggest that strengthening this identity could decrease the impact of external issues on their academic performance. These perspectives strengthen the contention that mentoring programmed for Māori learners should be relevant and specific, and grounded in Māori cultural values and principles. International research findings of mentoring for indigenous learners in academic contexts are consistent with New Zealand studies – that mentoring is likely to be more successful in terms of supporting participation and completion when learners’ culture is taken into account. In the context of the study, kaupapa Māori theory and the Māori Potential approach support and promote a position that good mentoring practice for Māori tertiary learners should utilise Māori epistemological and pedagogical traditions and reflect a Māori potential-focus. Whakatauki and messages: Using whakatauki to guide the learnings and key messages. They help to paint a natural picture of what the message is trying to get us to think about. Man is not like the cabbage tree (cabbage trees can regrow their shoots and we cannot regrow) We have one shot at life and its up to us to make the most of it. Ko te amorangi ki mua. Ko te hāpai o te muri. Tuia i runga (weave what is above) what things have happened in the past? Tuia i raro (weave what is below) what things that are yet to come? Tuia i roto (weave what is inside) who are we? Tuia i waho (weave what is around) what can we share with those around us? What can we give to others?